The One Minute Guide to the FCRA. Q. 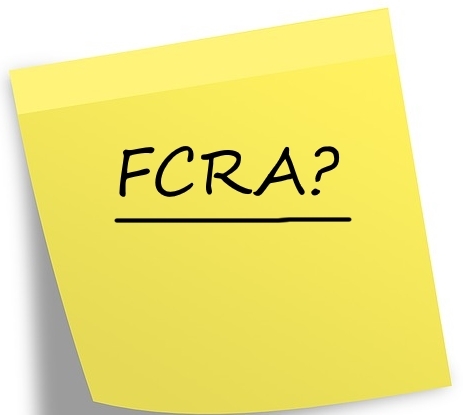 What is the FCRA? A. The FCRA, otherwise known as the Fair Credit Reporting Act, is the primary piece of federal legislation that is used to regulate background screening and credit checks. The FCRA was originally passed in 1970 and major amendments were made in 1996, 1998 and 2003. You can read the entire text of the act here. Q. Who regulates the FCRA? A. The Federal Trade Commission (FTC) and the Consumer Financial Protection Bureau (CFPB). Q. What are the rules laid out by the FCRA? What are permissible purposes for running a background check. A subject’s (individual consumer) rights and responsibilities. Guidelines for obtaining a subject’s authorization prior to running a background check. Guidelines for notifying a subject that a background check may be requested. When a subject of a background check should be provided a copy of their report. How and when to notify a subject that they are being denied employment due to the results of their background check. This is just a quick overview of the FCRA. We will explore it more in depth in future posts! David Losson is a managing partner at AmeriWide Screeners. AmeriWide is a CRA based in Dallas, TX. AmeriWide works with their clients to make background and drug screening as painless as possible. With their technology platform and client focus, they deliver the consummate client experience.